Mrs Sippy does not serve gumbo, jambalaya or cornbread. Be sure to spell the “mrs” part to those you are inviting so they don’t have this common preconception. 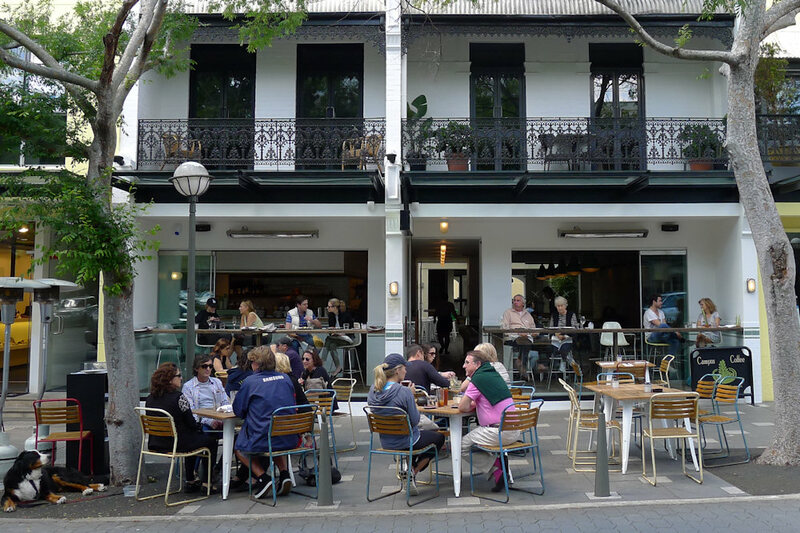 Mrs Sippy is a café, bar and restaurant in Double Bay where you can sit and watch the Ferraris, brushed pomeranians and Gucci clad socialites go by while you sip your Bloody Mary and indulge in your brioche French toast. Due to nothing other than blind luck, we arrived shortly after 11am and that’s exactly when brunch starts at Mrs Sippy and only on Sunday (perfect for SoS!). 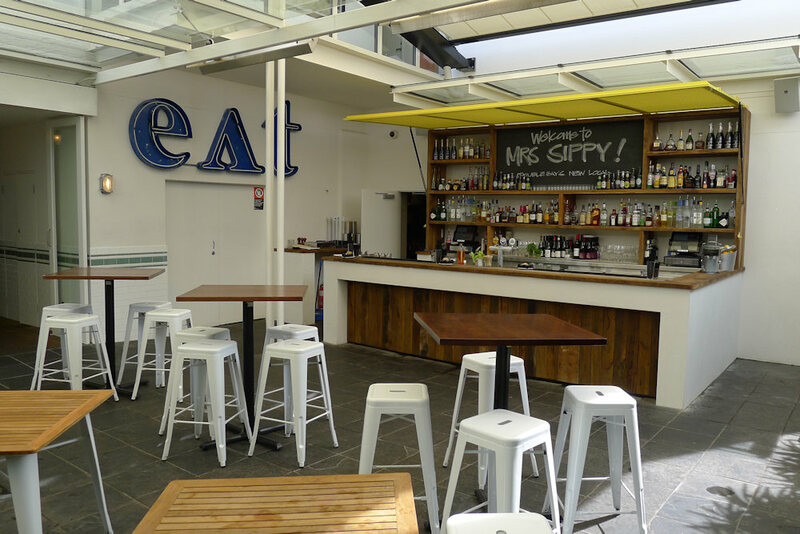 Mrs Sippy is expansive with a large dining room, courtyard bar and further seating beyond and upstairs. It’s a kind of cool industrial with just the right amount of warmth provided by the moody lighting, couches and fantastic cocktails. That’s the good part. The bad part about our brunch experience was the service. It started well enough with two tables quickly being joined for us. We received brunch menus a while later and when we asked about smoothies or fresh juices, were told that neither was available. Much later when we ordered the banana split, we saw that the dessert and drinks menu are combined and they do serve fresh orange ($4.50), apple, tomato, pink grapefruit or carrot juice ($4 each). Waitstaff only returned fifteen minutes later, promptly took our order and about thirty minutes later our food arrived over the space of about five minutes with beverages arriving another five or so minutes after. We were not in a rush however the slowness did result in lukewarm meals (both from slow service and us waiting until everyone had their food) and coffee. 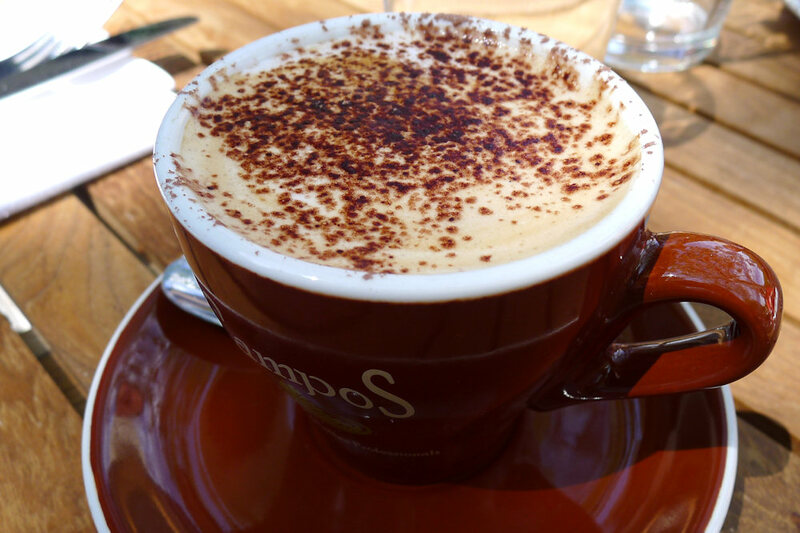 While our coffees ($3) were up to the usual fantastic Campos standard, they were not hot at all. Some jokes and quick sense of humour from the staff made up for this however as we found them great to talk to and approachable. Wow do they know their cocktails here! Our Bloody Marys ($16) were one of three morning cocktails (they drink hard in Double Bay) available, the other two being a rhubarb and pear bellini and Mrs Sippy martini ($16 each). 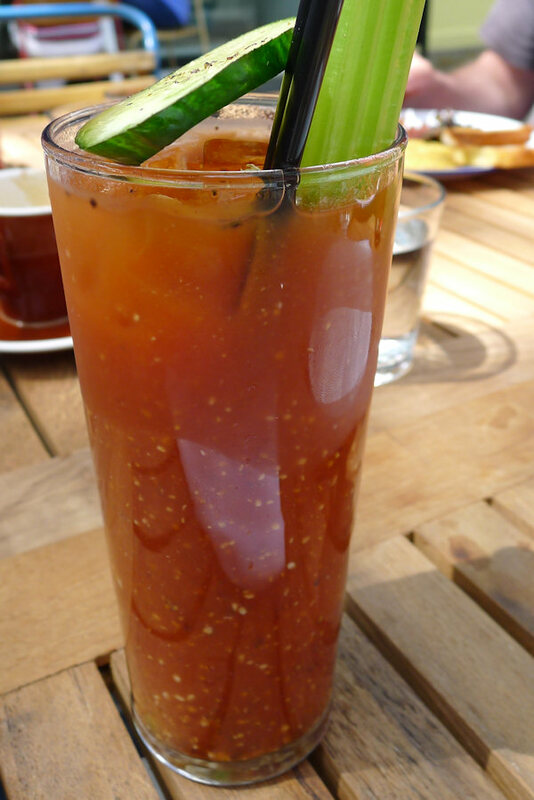 Plenty of kick and a good amount of all the essential ingredients. 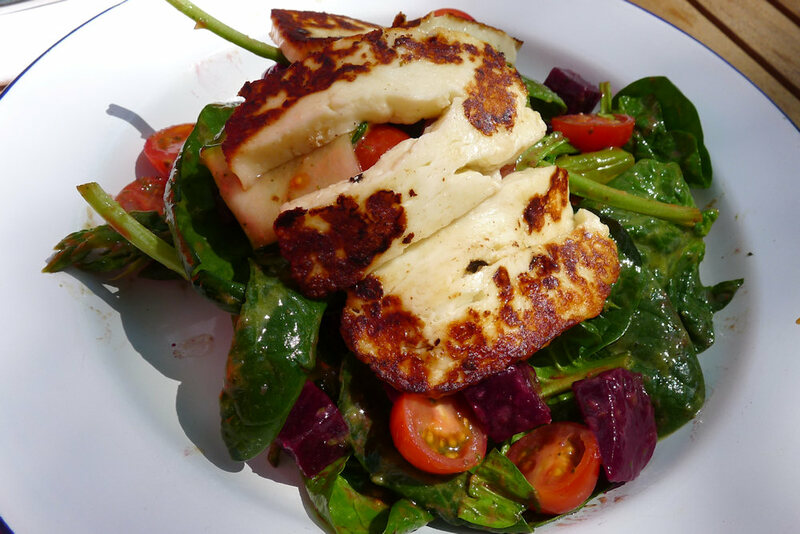 The grilled haloumi salad ($19) is one of Mrs Sippy’s most popular dishes – “over two hundred of them each day”. We now know why as the haloumi, spinach, zucchini, asparagus, tomato and beetroot combination only serves as a tremendous compliment to the Mrs Sippy kitchen. The vegetables were blanched and were fresh and crisp. 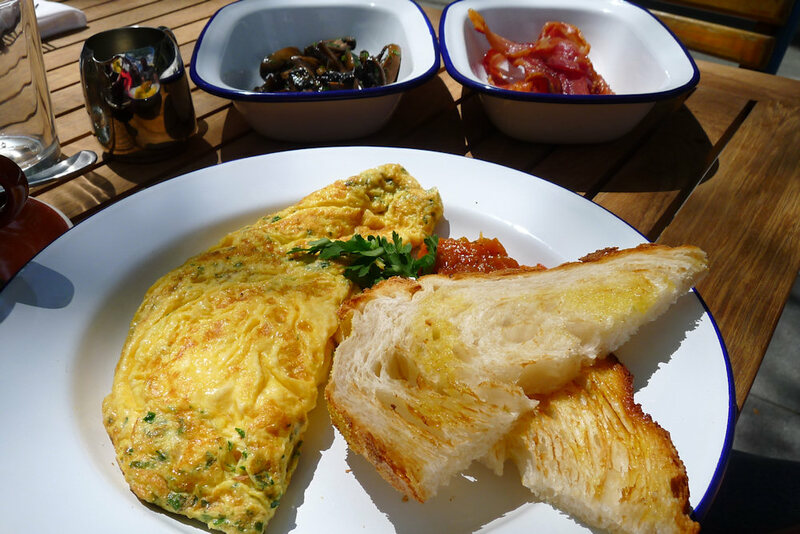 The fine herb omelette ($13), although slightly cool due to the wait, lived up to its name with a generous flavour boost thanks to the herbs within. Just below the omelette on the menu are the sides. I enquired whether these ingredients are to go in the omelette or as sides. The response was that we could have either. We asked for the former yet received the latter. Oh well, the mushrooms ($3) and bacon ($4) were great. The bacon was particularly crisp and a definite hit. 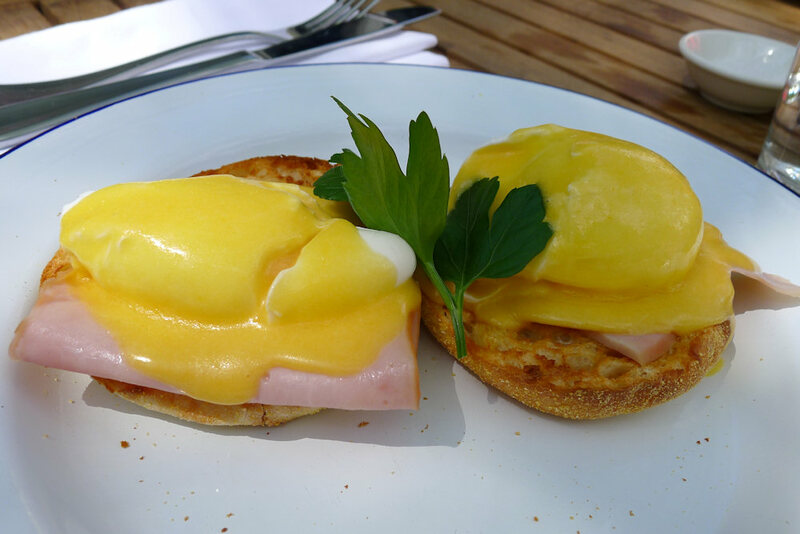 Eggs Benedict or eggs Norwegian (that’s Mrs Sippy for eggs Hemingway (with salmon)) ($14 each) are both served with one of the better hollandaise sauces we have tried. Perhaps some thicker or smoked ham could have been used to give this dish an extra edge. 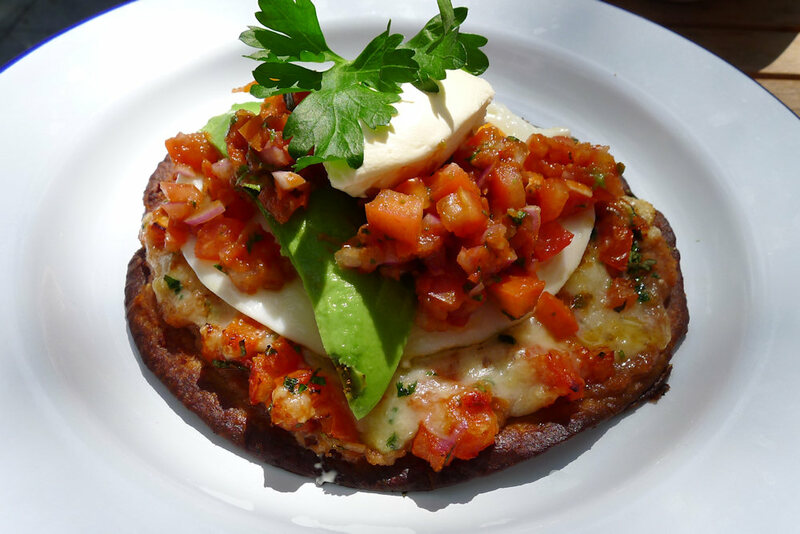 The Huevos Rancheros ($15) was one of the better renditions we have experienced. The tortilla, cheese and tomato was heaven-sent and well spiced. Fresh avocado, diced tomato, herbs and an egg resulted in a smallish dish yet one of the favourites at the table. 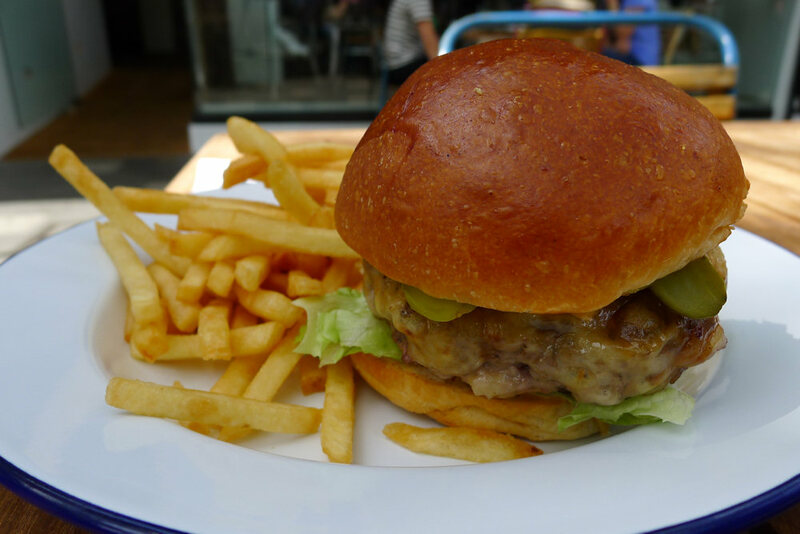 Burgers seem to be the next big breakfast thing judging by their appearances on countless menus and tables in our exploits. The Mrs Sippy cheeseburger ($18) is served with a large portion of fries and although simple, tasted great. However there was a slight overload of pickles and the price is very high. 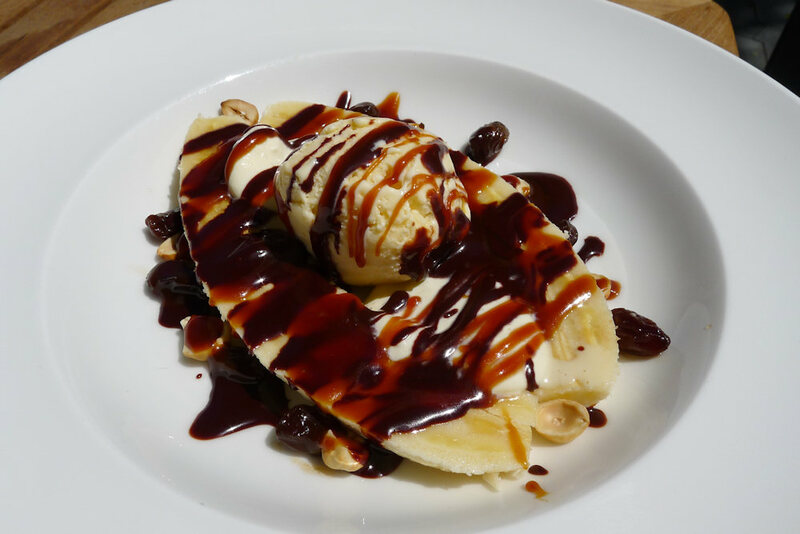 It was only thanks to Not Quite Nigella’s review that we knew about the banoffee banana split ($12). Some more crushed nuts on top as opposed to the few dotted around the plate would not have gone astray but we can recommend this simple dessert as something to share. The other desserts are lemon meringue pie ($14), creme brulee and chocolate tart with hazelnut parline ($12) each. Great meals were unfortunately let down by poor service on the morning we visited Mrs Sippy. 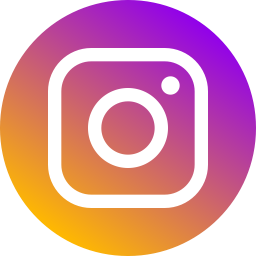 SoS has now reached the point where we can solidly say that we know the Sydney breakfast scene and there are some incredible dining experiences to be had. It is a thriving yet crowded market and we have to take the best and worst into account. So while Mrs Sippy served good food, it is not in the same league as our 17+ star reviews. Having said that, we wouldn’t hesitate to return for their cocktails and give them another chance for brunch or dinner some time in the future. 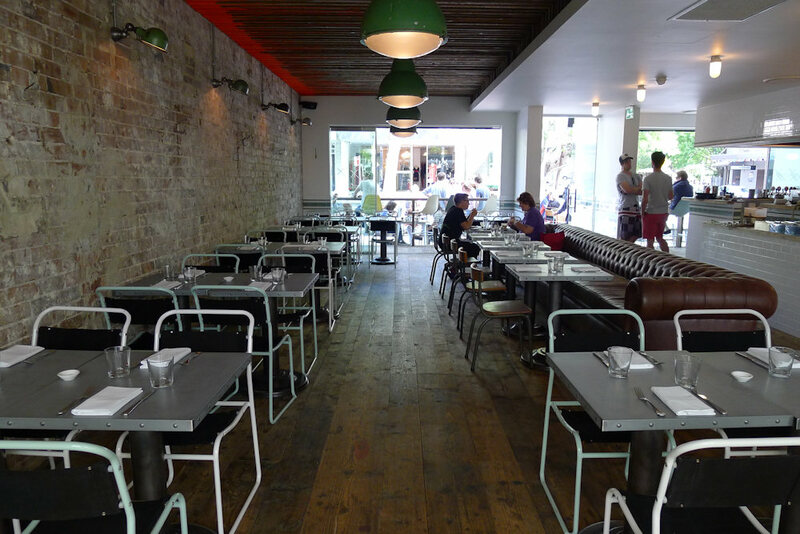 Great review – but it’s in double bay not Balmain as mentioned in your first paragraph.